OK, what are the territs that have no planet? Have you thought about adding a couple of suns in as killer neutrals? Black holes as passages from one side of the board to the other? Vekoqu looks bigger than Balkana. Remember to size each planet according to where they are on the map. koontz1973 wrote: OK, what are the territs that have no planet? Terits that have no planet are "sectors" rather than planets. e.g. They are large uninhabited areas. koontz1973 wrote: Have you thought about adding a couple of suns in as killer neutrals? Black holes as passages from one side of the board to the other? 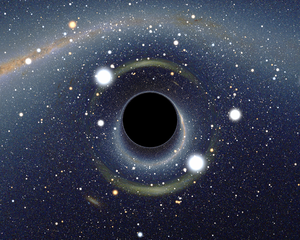 Suns doesn't really make sense, considering every single pixel probably contains thousands of "suns"
The black terit in the very center of the galaxy is a black hole. It one way attacks all habited planets and reverts to 1 neutral. koontz1973 wrote: Vekoqu looks bigger than Balkana. Remember to size each planet according to where they are on the map. Balkana is actually bigger than Vekoqx. Vekoqx just looks bigger because it has a massive ring system (which I will definatly scale down next update). Yes, just trying to figure out a why to give you an extra layer of game play with the suns. So if not suns, how about a nebula for the killers? koontz1973 wrote: Yes, just trying to figure out a why to give you an extra layer of game play with the suns. So if not suns, how about a nebula for the killers? A problem with killer neutrals is that you can't incorporate them as bonus zones. Therefore, they would have to be between arms or something to use them with the current "Route 66" bonus structure. I can maybe see room for one or two more layers of special gameplay, but I'd like to keep this map reasonably simple, as it is a generic map with the generic title of "The Milky Way" rather than say, "The Milky Way, the War of 3046" which would have lots of special game play aspects. However, if more people agree with you, koontz, I can still make the map more interesting with things of that sort (supernovas, bonuses that come with certain planets, etc.). koontz1973 wrote: Get rid of the arrows. Add a spaceship with a trail or a comet with a tail. I removed all the arrows and replaced them with spaceships with trails behind them. I also updated the legend to show the new planets and one-ways. why are you using Habited instead of Inhabited ? The map text seems to be two different fonts or styles of font, please make the same. Go to Dafont and see if you can find a better text for the legend. The one you have is very plain and boring. A better title font needs to be found. Blue text on black is hard to see. Can you put a glow around the text. Lastly, like the planets, give the text a slight degree of size difference. So again, top smaller, bottom bigger. Same effect can be done for the legend. Think star wars opening. greenoaks wrote: why are you using Habited instead of Inhabited ? Everything you said sounds good. I'll work on them for the next update. That's actually not a bad idea, I think I'll add it! However, I think -1 would be a better idea, considering how important that area is. However, I won't be putting that out this update. I imagine it will be difficult to make it look like a black hole without making it look like there's a massive block spot in the center of the galaxy. boler, what programme are you using? Briefing is OK, but the title can go fancier. Why I asked what programme you are using. I can help with this if it is gimp. Gravity wells, these look like spaceships to me. This from generalhead looks fantastic. Yes please. That very bright centre of the map you have, just turn it into blue with a solid black circle. koontz1973 wrote: boler, what programme are you using? koontz1973 wrote: Gravity wells, these look like spaceships to me. Yes, I'll change the name. Which arms? There's several blues. koontz1973 wrote: This from generalhead looks fantastic. Yes please. That very bright centre of the map you have, just turn it into blue with a solid black circle. That's the one I liked too, I'll try to recreate that effect. When you do the legend, I use the perspective tool in gimp. Does paint have that? The blue and orange that is far right of the map. Try not to use the same colour for the names. So no two blues or oranges. Use very different colours so the colour blind people can easily see the difference. Moving over to GIMP is going to be a must. Sorry but just read this. I skimmed the posts this morning when I logged on but after another read, you will need to move over to gimp. I do not know how you can do this as I do not know paint at all. If you have layers, do them one at a time, if not, you will need to start from scratch. Do not worry, if you have to start over as this is common for a lot of us anyway. If you do not know gimp, I am here to help. Just ask anything. Like all map makers, you need to prove you can do it, but I will give any and all advice to do with the graphics to help you find the best way forward. Many map makers are using gimp (seamus76, flapcake) as well as myself. You will get a far better map in the end and also, a map that can be moved forward. Any questions, ask here or send me a PM. Gimp is a great program, I had no idea how to use it at first, but Koontz and Seamus helped me so much with this program. It is ok to redo your map over in Gimp because the more the redo your map in gimp the better you learn the program. There are also a lot of great gimp tutorials on Youtube. Don't worry about the time it takes to do this because the more you work on your map the better it will be in the end. great job so far my friend, I cant wait to see further progress on this. koontz1973 wrote: Moving over to GIMP is going to be a must. generalhead wrote: Gimp is a great program, I had no idea how to use it at first, but Koontz and Seamus helped me so much with this program. It is ok to redo your map over in Gimp because the more the redo your map in gimp the better you learn the program. There are also a lot of great gimp tutorials on Youtube. Don't worry about the time it takes to do this because the more you work on your map the better it will be in the end. great job so far my friend, I cant wait to see further progress on this. No, I don't have to redo it (Paint.net is quite capable of layers) but updates will be slow for a bit as a find my way around the program. Since I already know how to work a graphics problem, I should be able to learn it reasonably quickly. koontz1973 wrote: I do not know how you can do this as I do not know paint at all. It's closer to gimp than MS paint (the extremely simple program that comes free with computers) and it has most of the basic features of gimp (layers, blurs, various special effects, roll and pivot, etc.) but lacks some of the finer points. I thought it would be alright to use for drafting the map. I'll have switched over to gimp before the next update comes out. Great news Bolar, last thing I wanted was to hear you say sod it and quit. But this is music to my ears. Need any help, just shout. How is GIMP working out for you? Do you need any help? koontz1973 wrote: How is GIMP working out for you? Do you need any help? Not yet, It's working fine, but I got hit with loads of work, and also caught a cold. I'll get the next update out within the week though for sure. Thanks for the offer though, If I need help I'll ask for sure. Sorry I didn't get it out in a week. I suppose I'll have to vacation this map, I simply don't have the time right now. It's unfortunate because I thought it was coming along pretty well. I know I've already abandoned a map ,but I do like this one better and know my way around conquer club better so I hope I'll be able to pick this one up again someday.